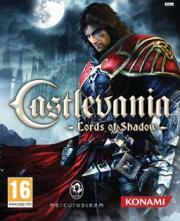 Lords of Shadow is a third-person action-adventure game in which the player controls the main character, Gabriel Belmont. The combat involves a retractable chain whip called the Combat Cross. The player can perform up to forty unlockable combos with it. The commands consist of direct attacks for dealing damage to single enemies, and weak area attacks when surrounded by them. (wikipedia.org). I come back to the game section after a bit to plug away at titles I remember playing and giving them an arbitrary score mostly but almost every game I'm all "Oh my god that came out # years ago"